When thinking about holiday gifts consider giving ART! 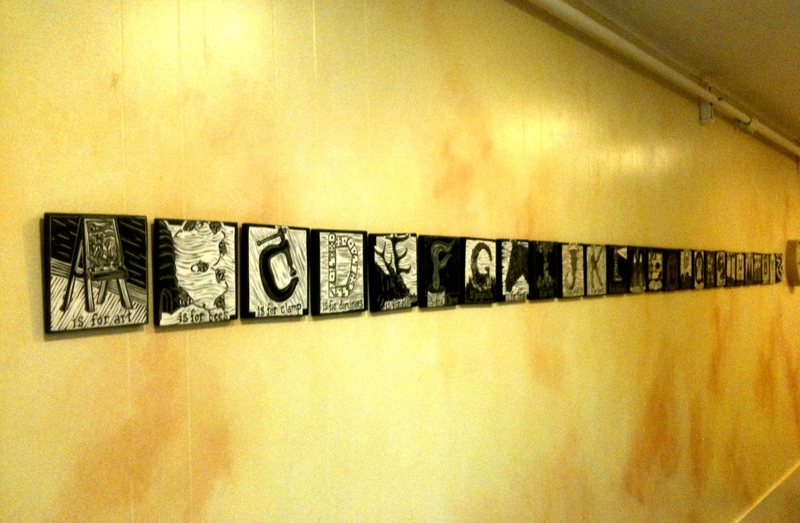 On Sunday I took my alphabet series down at Fringe Salon in Greenlake only to put it right back up Monday morning! This time at Three Tree School in Burien. I’m thrilled to once again be a part of Parklane Gallery’s Around the Block show. They put together a great video showing some of the work. The whole video is worth watching but if you only have a few seconds fast forward to 3:15 seconds in to see one of my three pieces in the show. Then fast forward to 3:40 to see my friend Dawn Rogal’s piece! You are currently browsing the Lesliemoon's Blog blog archives for November, 2011.